Use a metal tape measure for accurate measurements. Make sure you have a pen and paper ready to record your measurements in centimetres (see below to download our measurement templates). Take into account any obstructions such as window handles or tiles, etc. Take three measurements across the width and height of the recess and use the shortest measurements recorded. 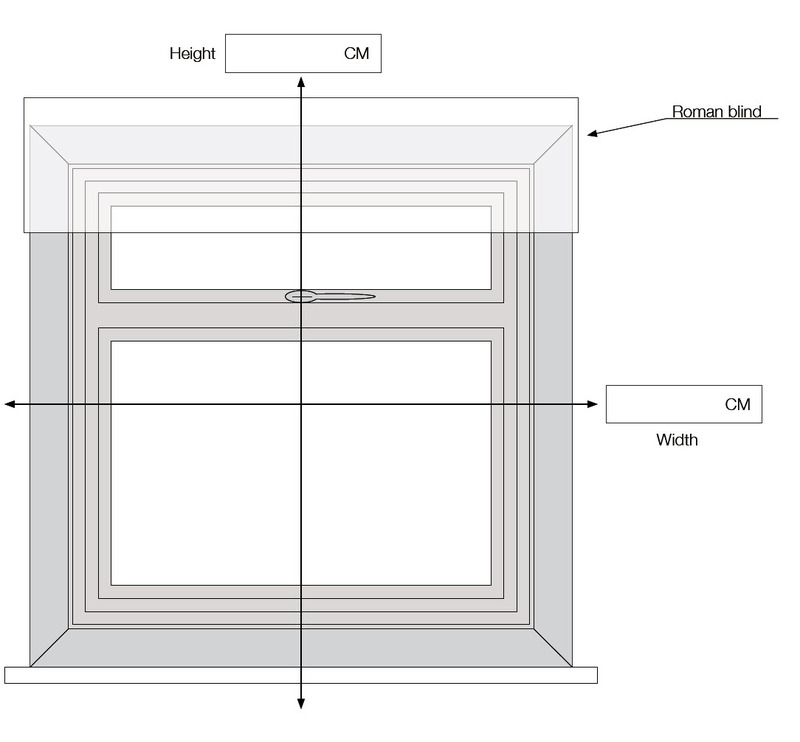 Don't make any allowances for the headrail - we'll will fabricate your powered roman blind based on your measurements and allow a 5mm clearance gap at either side to ensure the blind operates smoothly. Your roman blind is powered using a battery or solar pack and the position of the motor will determine which side of the blind you must mount the battery / solar panel. The battery pack is essentially an elongated tube containing 8 AA lithium batteries that simply plugs into the head of the motor. The battery pack has a short length of cable to make this connection and therefore must be situated within reasonable proximity of the motor head. Most battery packs are mounted directly below & behind the roller blind within the recess or above & behind the roller blind if outside the recess mounted and hidden from view. The battery pack can also be mounted vertically if preferred. The solar pack comprises of a slimline solar panel and a rechargeable battery that simply plugs into the head of the motor. The solar pack is supplied with a 'Y' cable to make the connection between the solar panel and battery pack and then to the motor. This cable is approximately 30cm in length and therefore must be situated within reasonable proximity of the motor head. The solar panel is typically mounted directly below & behind the roller blind directly onto the window pane, with the battery pack within the recess or above & behind the roller blind if outside the recess mounted and hidden from view. 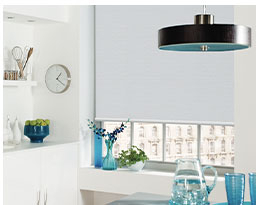 Select this lining option to black out the light from shining through the roman blind fabric. Select this lining option to keep the dim out characteristic of roman blinds fabrics. This is ideal for most windows in the home. It will help prevent the fabric fading in the sunlight and will also provide some additional shading when it’s light outside and you want the blind lowered down. We would always recommend a blackout lining for a bedroom, especially if you are a light sleeper or if you have children who wake once the sun comes up. Blackout linings are also great for providing additional glare control in a home office or if you love a dark environment when watching the TV. The Trend range is perfect for creating a relaxed ambiance in any room - available in a range of 6 colours. 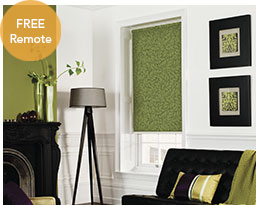 Choose from a dimout or blackout lining when ordering your roman blind. 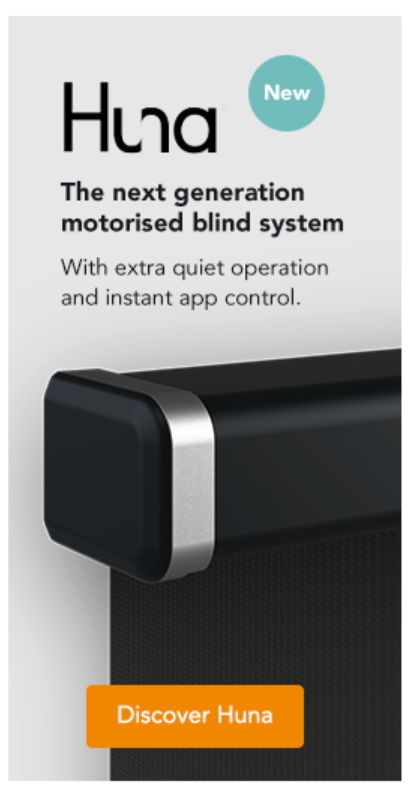 Our roman blinds are powered by Somfy motors, the world leader in motorised blinds products. A range of remote handsets, wireless wall switches and timers are available to provide your preferred powered blind control option. 1. A plug in battery pack that is mounted behind the roman blind and hidden from view. 2. A compact solar panel designed to fit behind the blind on the inner window panel and continually charge the battery during daylight. A 12V rechargeable battery pack connects to the solar panel with simple plug in connector. The battery supply cable then plugs into the motor to make the power connection complete. Colours reproduced on screen may vary from the actual colours due to the limitations of the printing process. Great care has been taken to ensure that the fabric swatches and the information supplied are correct, however customers are advised to check the suitability of materials before use. Our classically styled made to measure Roman blinds consist of large horizontal pleats which fold away when opened. Fabrics are available in a wide range of patterns, colours and textures, and you can choose from blackout or dim out lining according to your light preferences. Fully configurable as you order from our range of Somfy power and control options. 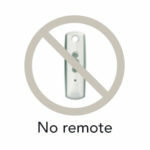 We recommend a Somfy Telis 1 RTS single channel remote control. Choice between a Single battery wand or a Rechargable battery wand with solar panel. Both power supplies are provided with mounting clips. 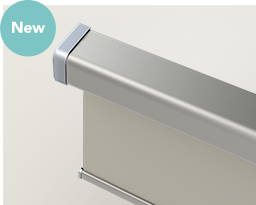 Powered roman blind fabricated to your criteria complete with Somfy motor integrated into the headrail. Brackets suitable for top or face fix mounting. A sealed battery pack to power the motor. Instructions to guide you through the blind installation and motor programming process from start to finish. 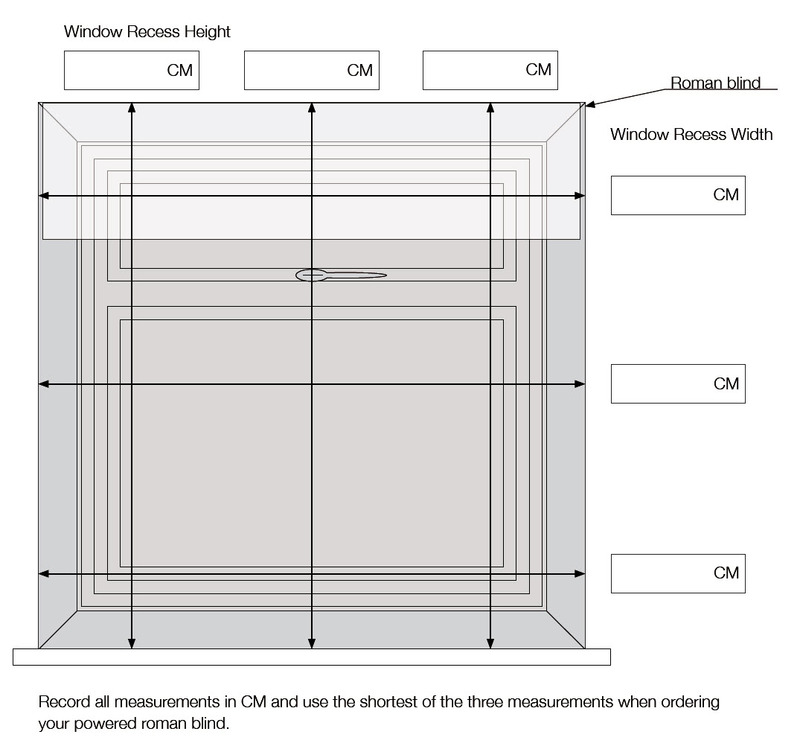 Your powered roman blind will also be supplied with the control selected (if applicable) during the order process.